Weinberg juniors Sky Patterson and Emily Ash speak during at a Tuesday debate for Associated Student Government president and vice president. Patterson and Ash won the ASG election Friday. Weinberg juniors Sky Patterson and Emily Ash won the election for Associated Student Government president and executive vice president Friday, election commissioner Julia Shenkman confirmed. Patterson and Ash won 49.2 percent of the vote, election commissioner Dillon Saks told The Daily in an email. They defeated SESP junior Justine Kim and her running mate, SESP sophomore Austin Gardner, who Saks said received 42.25 percent of the vote. Saks said 2,272 students voted this year, an increase from last year’s uncontested election in which only 894 students voted. However, in the most recent contested election — when Christina Cilento and Macs Vinson narrowly won in 2016 — there were 4,060 total votes. Patterson’s victory comes after the election commission announced her campaign had violated election code and after students expressed concern over some of her campaign members’ use of the NU directory and email marketing service MailChimp. In a statement to The Daily, Patterson’s campaign manager Jillian Gilburne said they are grateful to their supporters. Patterson said her and Ash’s first action in office will be to listen to applicant pitches from prospective vice presidents and build a strong executive board. Ash said the pair will also “circle back” with groups and individuals they met with during the campaign to be accountable to them moving forward. Patterson said she felt relieved and happy when she learned she had won. Above all, she said, she felt grateful to the team that had stood behind her and worked on the campaign. Though the election was contentious at times and her margin of victory was narrow, Patterson said continuing to be respectful will help bring ASG back together. 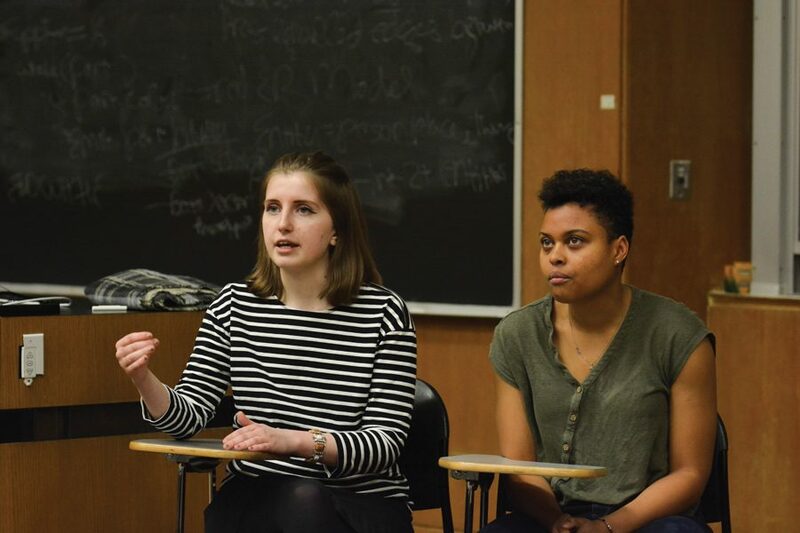 Ash said the post-election period is especially important because half of Northwestern’s students have not seen a contested election on campus and have yet to witness how the organization reassembles. Outgoing president Nehaarika Mulukutla said the fact that students elected Patterson and Ash should inspire confidence in their ability to lead both ASG and the student body. She added that ASG was able to reunify after prior contested elections. This story was updated at 9:40 p.m. on April 15 with background information on the election and comments from Patterson, Ash and Nehaarika Mulukutla.